The maintainers of Linux distributions are rushing to patch a privilege escalation vulnerability that's already being exploited in the wild and poses a serious risk to servers, desktops and other devices that run the OS. The vulnerability, tracked as CVE-2016-5195, has existed in the Linux kernel for the past nine years. This means that many kernel versions that are used in a variety of computers, servers, routers, embedded devices and hardware appliances are affected. The Red Hat security team describes the flaw as a "race" condition, "in the way the Linux kernel's memory subsystem handles the copy-on-write (COW) breakage of private read-only memory mappings." This allows an attacker who gains access to a limited user account to obtain root privileges and therefore take complete control over the system. The vulnerability was fixed this week by the Linux kernel developers and patches for Linux distributions, including Red Hat, Debian, Ubuntu, Gentoo and Suse, have been released or are in the process of being released. The vulnerability, which has been dubbed Dirty COW by the security community, was discovered by security researcher Phil Oester when it was reportedly used in an attack against one of his servers. This suggests that attackers have known about the vulnerability and have exploited it in the wild for some time. Since this is a local privilege escalation flaw that cannot be directly exploited by remote attackers, it is only rated as high severity and not critical. To take advantage of it attackers need to first obtain limited access to a server in some other way, such as through another vulnerability. Shared web hosting companies are at higher risk because some of them offer local shell access to customers, so a malicious user could take over their servers. Vulnerabilities in web applications that allows attackers to create and execute files on servers can also be exploited to gain an initial foothold from where attackers can then escalate their privileges to root. 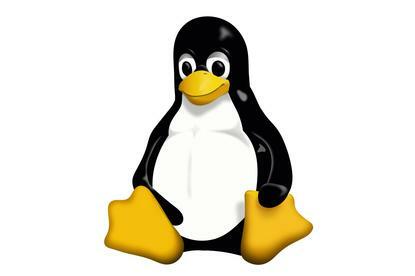 Linux server administrators are advised to immediately install the patch for this vulnerability. If a patch is not yet available for their systems, they should consider applying a mitigation developed by the Red Hat security team.